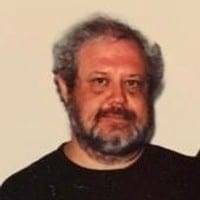 Ronnie E. Oliphant, age 63, of Bryan, Ohio, passed away at 3:23 P.M. on Friday, March 29, 2019, at his home. Ronnie had been a stockman at WalMart and had worked for many years at Satco in Arlington, Texas. He enjoyed collecting eagles and was an avid photographer. Ronnie E. Oliphant was born on February 20, 1956, in Albion, Michigan, the son of Bennie E. and Elma J. (Hackworth) Oliphant. Ronnie is survived by his parents, Bennie and Elma Oliphant, of Bryan, a brother, Billy (Deb) Oliphant, of Roxboro, North Carolina, a sister, Robin Bell, of Bryan and several nieces an nephews. A memorial service celebrating Ronnie’s life will be held at the Restoration Fellowship church, 10643 County Road A, Bryan on Tuesday, April 2, 2019 at 3:00 P.M. with Pastors David Oliphant and Jim Adams officiating. Krill Funeral Service, 860 West Mulberry Street, Bryan has been entrusted with his arrangements. Memorials are requested to the family to assist with funeral expenses. 1 Comment on "Ronnie Oliphant (1956-2019)"
So sorry for your loss. I always enjoyed seeing Ronnie in the mornings and talking with him. He always had something to say and loved to tease us at the courtesy desk. I will always remember his sense of humor fondly.